Hi I’m Vicki! Math Motivator was created as a result of my passion for the teaching and learning of mathematics for elementary students. As a Professional Learning Mentor I want to inspire elementary educators, students and their families to love math! I believe that everyone can come to know and love math at any age, just as I did! I believe that people in elementary students’ lives – teachers, parents and other family members can make a profound difference in how the children in their lives feel about math despite their own past experiences. I believe that a positive attitude towards math impacts achievement. I do not believe that we need math specialist teachers in the early grades, but I do believe that we need teachers who are willing to overcome their own math insecurities and are willing to learn along with their students to deepen their own knowledge (math content) and strategies (pedagogy). I believe that we need family members who understand and respect that math is being taught differently now based on current research. None of us wants the medical profession to stay the same. We need to start looking at education through the same lens. I did not alway love math. As a student I was great at memorizing, but memorizing facts and formulas without understanding does not serve one well when the mathematics becomes more challenging. As an elementary educator, I did not want this same experience for my students, so I started to change how I taught math. As I did this, I began noticing increased engagement in my students and this motivated me to pursue my professional learning in this area. For 15 years I had the great opportunity to be a full-time classroom teacher before becoming a special assignment teacher (consultant) and numeracy facilitator for Algonquin & Lakeshore Catholic District School Board for 11 years. My eleven years in a special assignment board position allowed me to spend many hours in a variety of Kindergarten to Grade 6 classrooms across the school board observing and interacting with students. An important aspect of my work was spent collaborating with educators and students in support of educator, school or board inquiries. I had the opportunity to deepen my own math content knowledge and understanding of student challenges and successes in math through my work with the Ministry of Education in various initiatives such as Small & Northern Boards Math, Collaborative Inquiry for the Teaching of Mathematics (CIL-M), Systems Implementation and Monitoring (SIM), and the EOSDN “Closing the Gaps” Math Project. 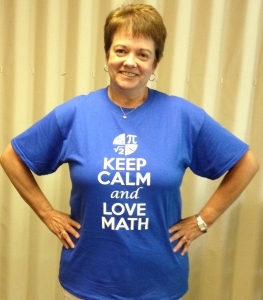 After retiring from my full-time position, I became the “Math Motivator”. I spread my wings as an independent professional learning mentor and started sharing my years of learning with educators and students both near and far. 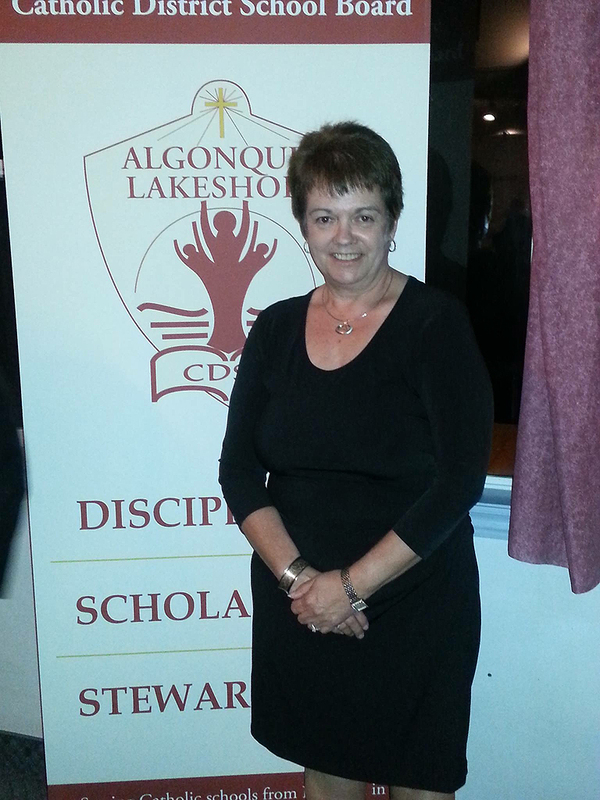 As a professional learning mentor I provide professional learning in the area of mathematics for school boards. This involves working with ministry of education people, board personnel, math coaches, administrators, educators and students. These interactions are one on one and / or in small and large groups. Much of my work involves capacity building sessions that focus on a math content area and job-embedded sessions where we co-plan lessons, go into classrooms and observe students, analyze their work and plan for next steps. To keep closely connected to students I have the privilege and joy of co-teaching in my daughter’s classroom during math class and working one on one with each of my school aged grandchildren on a regular basis. Each of these experiences allows me to try out new ideas and observe their impact and plan next steps. Just recently I welcomed the opportunity to collaborate with a math instructor from Queen’s University prior to being a guest co-teacher in four of her elementary education classes. I continue to learn something from every experience I participate in. Some of my greatest teachers have been the students in front of me. Together we will impact the children in our lives to love Math! Pingback: Welcome to "The Math Motivator"! Your daughter recommend on contact you. Do you have some math word problems involving the regrouping of base ten materials that I could use this week? I have so much to do and am feeling really stressed! It is for a Grade 3/4 class. One task that I give to students as a precursor to regrouping is something like this: How many different ways can you make “123” using base ten materials. The big idea with a task like this is that there are many different but equivalent representations for a number. Students will begin by making the standard 1 hundred, 2 tens and 3 ones with the materials. We also want to get them comfortable with the idea that there can be 12 tens and 3 ones or 11 tens and 23 ones etc. Students can investigate over several days using different numbers. You might give them a bigger number such as 463 and ask them to represent it in 3-4 different ways.